A few weeks ago I attended the IE Cupcake Fair hosted by IEShineOn and was so excited to see that [desi]gn cakes & cupcakes was attending! 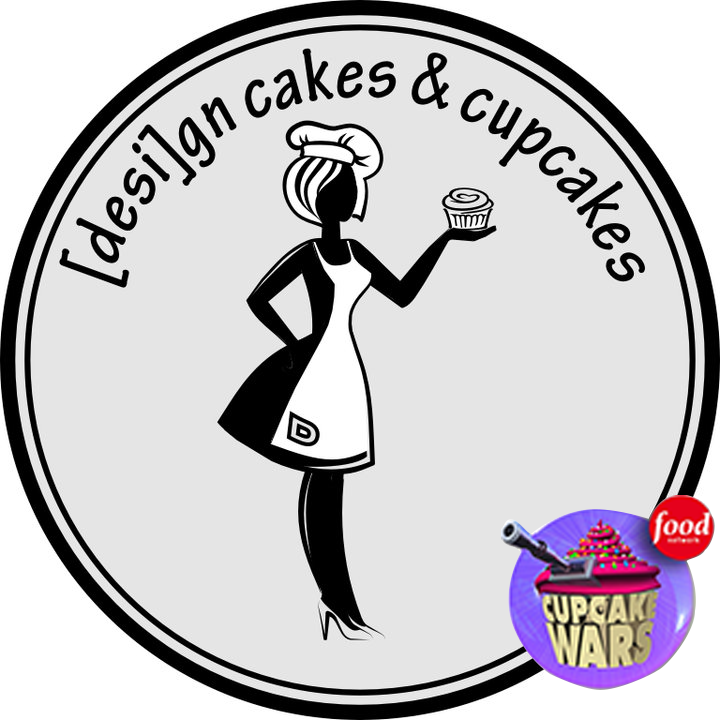 I was first introduced to [desi]gn cakes & cupcakes last year at Cupcake Challenge LA where they competed with their Buffalo Chicken Cupcake, which was the first time I ever had a savory cupcake. They recently competed on Cupcake Wars for the second time, taking home the title of Cupcake Wars Champtions! Lucky for me, [desi]gn cakes & cupcakes has their open shops here in Chino, which is literally down the street from my house so I made a trip over to pick up their Cupcake Wars Winning Flavors! The base of this cupcake was made of polenta with a hint of cheddar. It was definitely sweeter and more moist than cornbread. 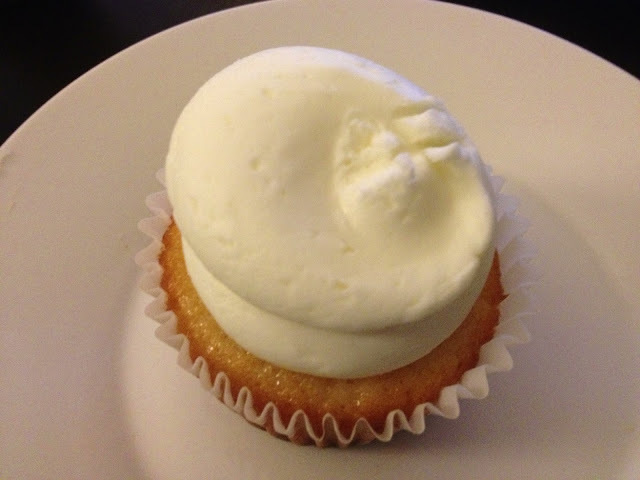 If no one told you, you wouldn't be able to tell just by looking at this cupcake that the "frosting" wasn't frosting at all, but rather Cheddar Mashed Potatoes piped on to look like frosting! The mashed potatoes were delightfully creamy and not overly cheesy. 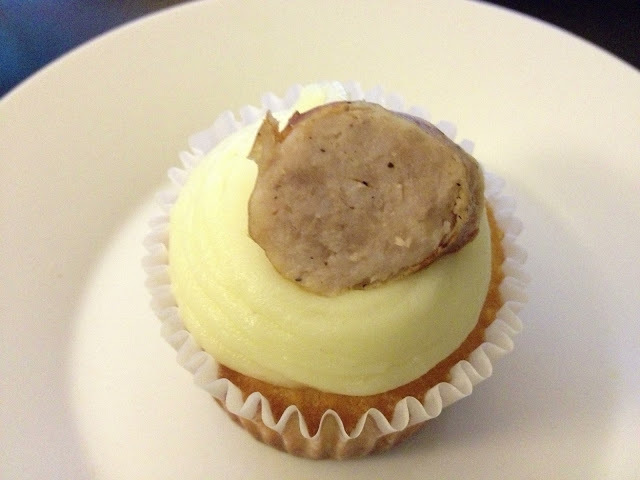 The kicker to this savory cupcake was the Beer Braised Bratwursts. 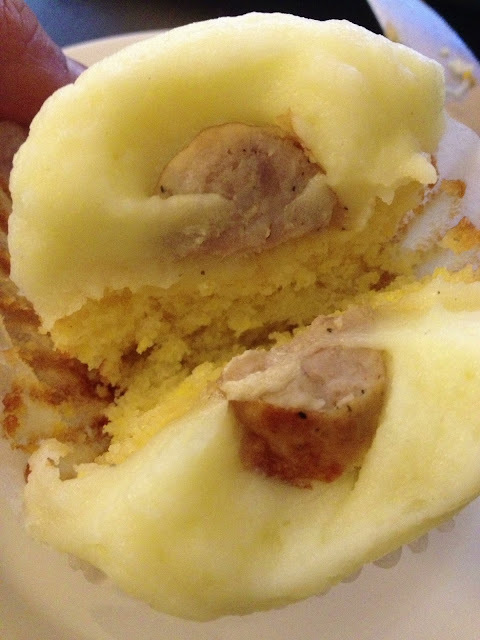 Sliced and gently placed atop this piece of cupcake art, the bratwurst added a smoky/salty component to the lightly sweetened cupcake. Like the Apple Bacon Harvest cupcake I had at the IE Cupcake Fair, this one of the most unique savory cupcakes I've ever had the pleasure of tasting. Lemon and Raspberry. Sounds safe enough. But with Habanero?! This flavor definitely smelled like fresh lemons. The frosting was light, fluffy and perfectly lemony. It's hard to find a really solid lemon frosting that doesn't taste like fake lemon or isn't face puckering sweet but Desi's lemon frosting finds a perfect balance. The cake also happened to be lemon flavored, surprisingly the double dose of lemon wasn't too much. The Raspberry Habanero Jam filling was a mystery. Sweet. Spicy. An interesting but amazing pairing with citrus. The heat was subtle but definitely there. I loved that the jam still had the seeds in it, that crunchy texture combined with the creamy frosting and moist cake...so delicious! 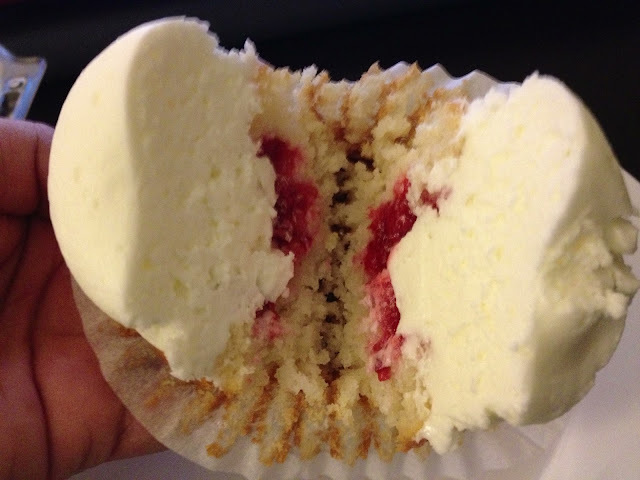 I didn't get a before shot of this cupcake because my sister and I were too excited to try all the cupcakes...our bad! 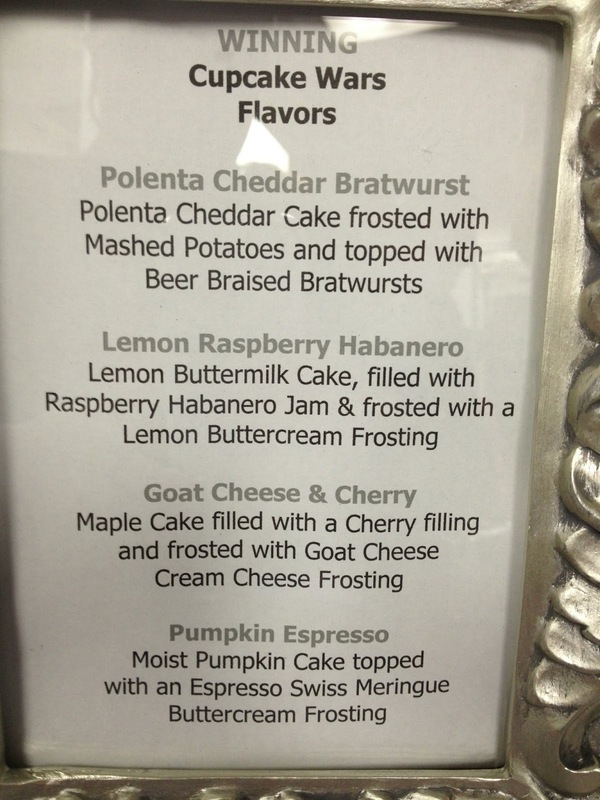 When I heard that this cupcake was topped with Goat Cheese frosting I was a little confused. I'm used to goat cheese having more of a salty nature than sweet but this actually tasted like cream cheese frosting! 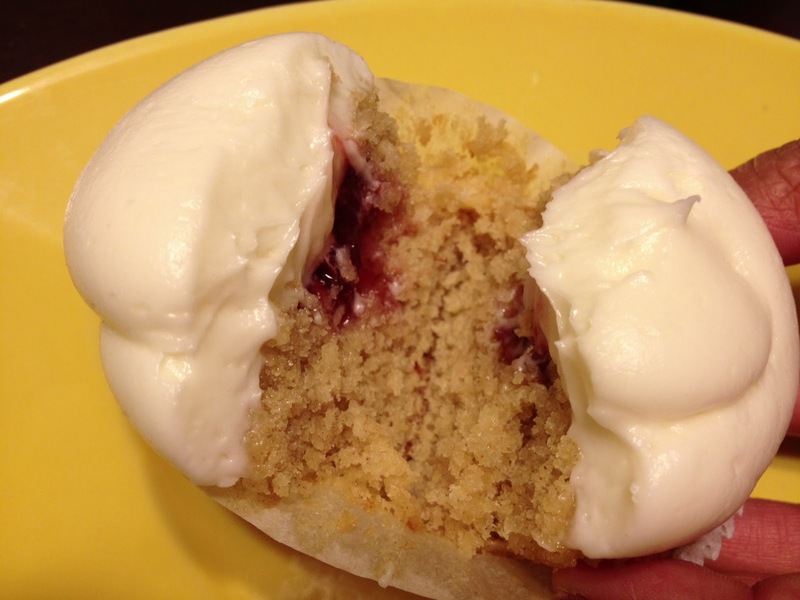 The cake had a hint of maple, it wasn't overbearing against the sweet tartness of the cherry filling and the frosting, which were meant to be the stars of this flavor. This one was my sister's favorite of the bunch. I'm not a huge espresso fan but I'm an equal cupcake opportunist. This frosting wasn't as thick as the others, it was smooth and fluffy, almost like a whipped cream. The espresso in this wasn't that usual burnt, smoky flavor you get with other heavy handed espresso flavored things. The Pumpkin cake was incredibly moist. The aroma reminded me of Fall and all the delicious pumpkin flavored nomz it brings with it. 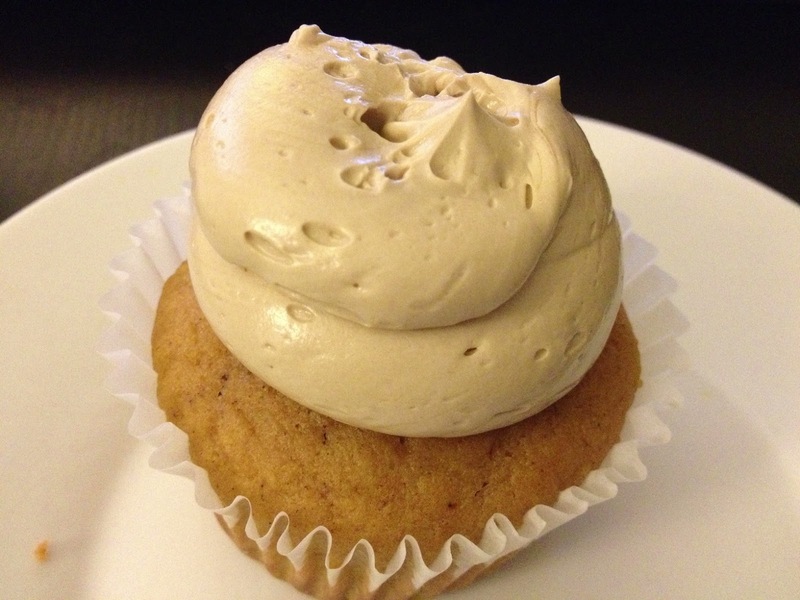 Paired with the espresso frosting it tastes just like a Pumpkin Latte! 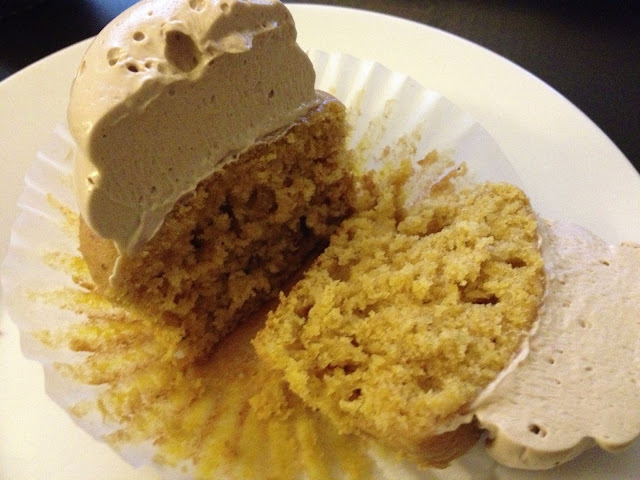 With it's airy frosting and fluffy cake this was a delightfully light cupcake! 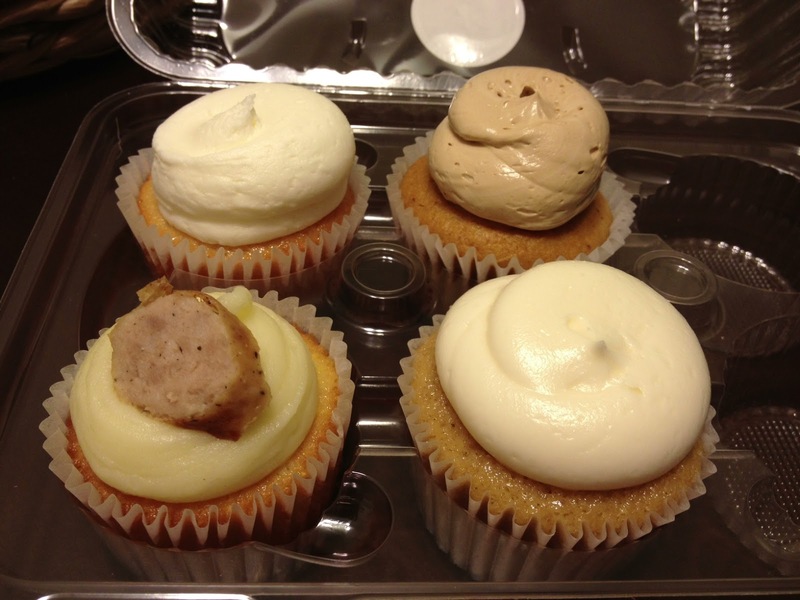 Make sure you're following [desi]gn cakes & cupcakes on Facebook and Twitter so you won't miss their next Open Shop! All the cupcakes I've had the pleasure of trying have all been amazing, you won't be disappointed!